A cover for Melange Books. 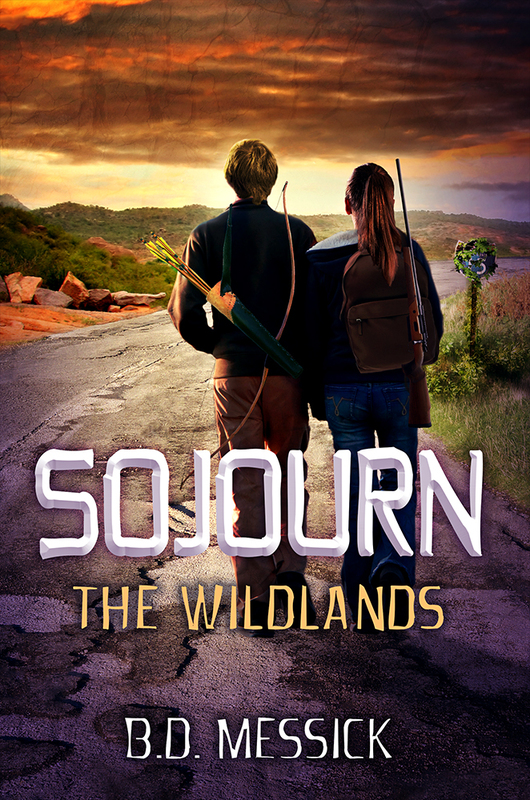 For this cover, we wanted to match the style of the previous books, The Wildlands and The Deadlands. I kept the general placement of the titles and author name the same (though we did experiment with different placements), plus we kept with the general theme of the two characters walking on a path to a different destination. In this case, we used the same model imagery from the second cover, but I did a few adjustments to their images to make them seem a bit different (pushed them closer, adjusted the girl’s hair a bit, and flipped their images). We added a couple pieces of deserted imagery to add to the abandoned feel, and I used a lot of Photoshop masking in layers to get the various jungle layers to mesh properly and look natural. The day has finally arrived–the day of the Distant Horizon cover reveal! That’s right. This cover, which has been waiting two years to be revealed (Seriously, I created the near-final version in early 2014) now gets to be seen by the light of day–or the computer screen. Want to check out the other blogs who are participating in this tour? A cover for Melange Books. I had a lot of fun putting this one together. There are quite a few pieces in this particular cover (14 stock images in total), and I worked with the author to get all the right images and choose the best placement for them. For example: choosing what kind of bow the male model should have. Since the art form mentioned a bow, but didn’t specify crossbow or long bow, I emailed the author to clarify. Helpful to ask about these things up front so you don’t spend a lot of time masking out and fitting pieces, only to find it doesn’t fit the story. In the meantime, I enjoyed playing with the lighting and colors. Another cover for Melange Books.